Building Evidence through SEN Case Studies is an update of the popular title, Demonstrate Progress with SEN Case Studies. This update reflects the changes brought by the SEND Code of Practice and the removal of national curriculum levels. 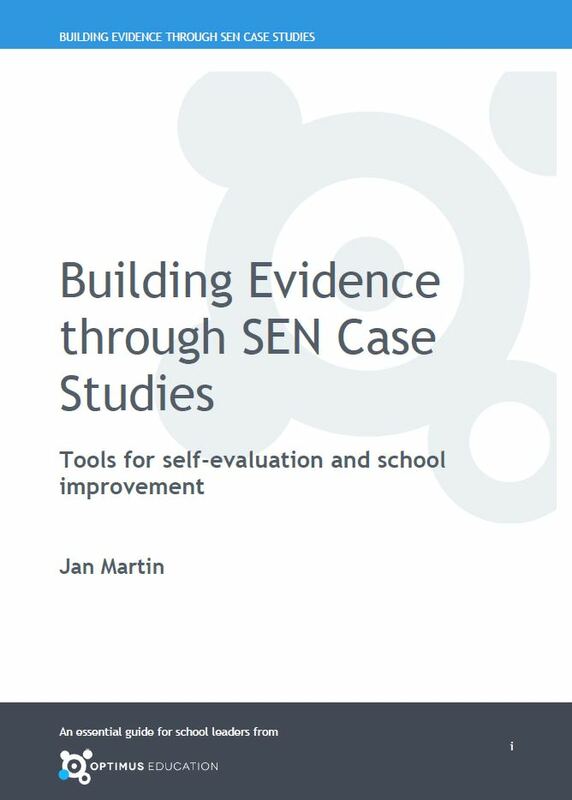 With advice on every stage of the case study process, from identifying what you want to evaluate to conducting an interview with the inspector, this eBook provides an invaluable guide to evidencing the impact of your SEN programme. prepare for likely questions from inspectors. choose the best format in which to present the case study. a checklist of what you need in place prior to an inspection. Key question: How do SEN and vulnerable children case studies support SEN progress evidence and contribute to school improvement? What is their place in Ofsted inspections? Key question: How will case studies help to demonstrate the effectiveness of SEND provision in my school? which types of case study best demonstrate the work the school is doing. Key question: How do I write a case study? some ideas about different formats for case studies and the level of detail that is needed. Key question: What progress measures can we use in case studies once there are no national curriculum levels? provides you with some methodologies for tracking progress of SEN pupils. Key question: What does a successful case study look like? How do you know if it was successful? outlines some examples of good practice. Key question: How do I prepare for the Ofsted interview? the likely impact on other members of school community. Contains 15 templates, illustrating a range of special needs provision in different kinds of schools and organisations. Contains five appendices, including national transition matrices and a checklist of evidence to prepare for an inspection.